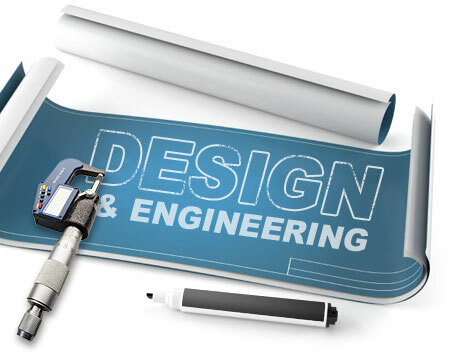 Die Makers has a highly skilled team of engineers, ready to meet all of your design needs. We use a variety of applications including the most up-to-date 2D and 3D die and stamping software to bring your visions to life. Our design staff and tool makers work closely with our customers to provide insight into cost reduction areas in all phases of the die build. We are able to create a 3D rendering of the design and conduct analysis of the design through design simulation. This simulation allows us to verify the function of the tool and all its components which can improve accuracy and shorten lead times. At the quoting stage we can provide a theoretical strip layout. This layout provides an early look at how the part will progress through the tool. With this layout our team can provide insight into cost reduction areas which can include material usage improvements and part geometry changes to minimize tooling complexity. 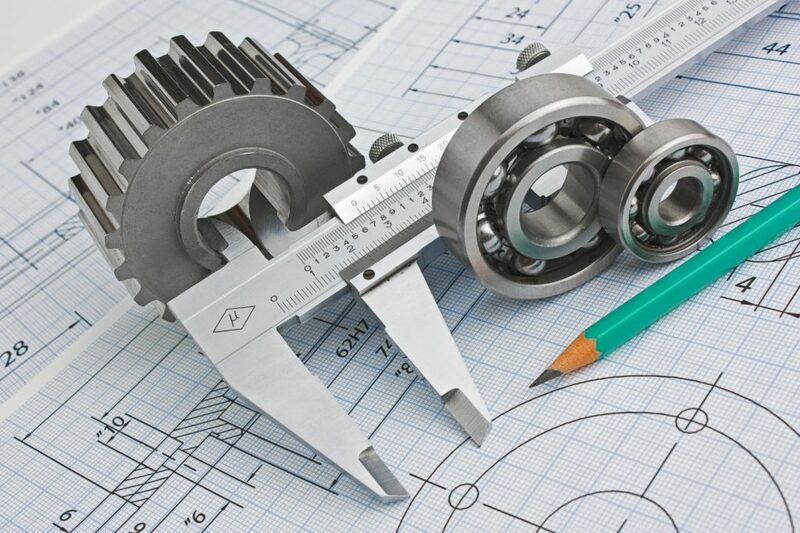 If a client only has a sample part, we can reverse engineer the part by using a CMM machine. This machine allows us to take measurements up to.0002” from 2D profiles as well as complex 3D profiles. We can import the measurements into our design software and re-create the 3D geometry. The software also allows us a unique look at how the material will move during the forming process which can lead to improvement in development and final part design. Our suggestions are backed by years of testing and experience with the materials as well as our relationships with our suppliers. Bottom line, our engineers add value that will support long and robust tool life.